Hebrew and Portuguese version of the narrative of the rescue of David Curiel from the hands of a murderer. Hebrew and Portuguese version of the narrative of the rescue of David Curiel from the hands of a murderer. Amsterdam, 1628. On f. 13v signature ‘David Curiel’. 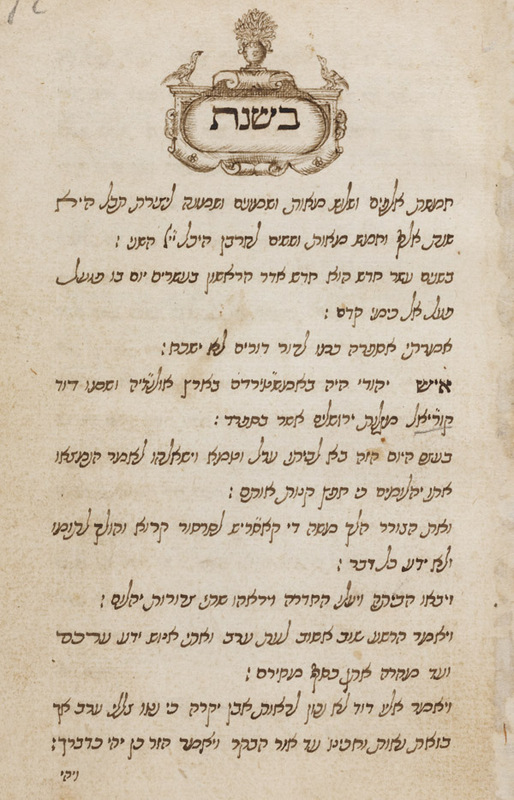 f. 171: Hebrew laudatory poem by Moses Gideon Abudiente. Hebrew and Portuguese / Paper / 15,7 x 9,6 cm. /  ff. / Square unvocalised writing and current Iberian hand / No titles / At the beginning and end of the Hebrew text nicely drawn ornaments / 17th century copy. Fuks 342. Fundação Calouste Gulbenkian.